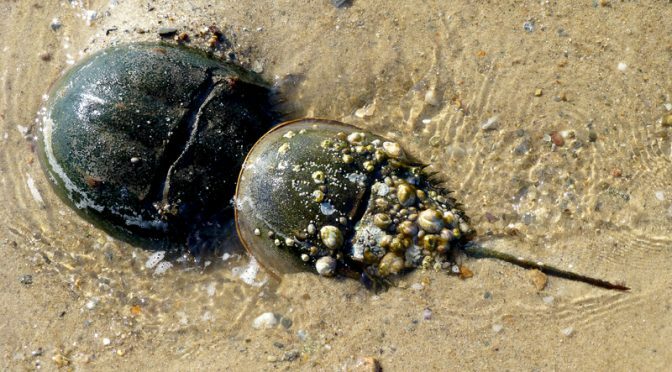 I took a walk along the beach the other day at high tide and there were Horseshoe Crabs everywhere! I counted 55 in one little area. I contacted the expert at the Massachusetts Wildlife Sanctuary in Wellfleet to tell him what I had seen. He said that with the warmer weather now, the Horseshoe Crabs will be very active. Did you know that Horseshoe crabs are an ancient group of arthropods whose bodies are encased in a hard, oval shell? They have a long, rigid tail and five pairs of legs that they use for crawling, swimming, and gathering food. It was really quite a site to see! 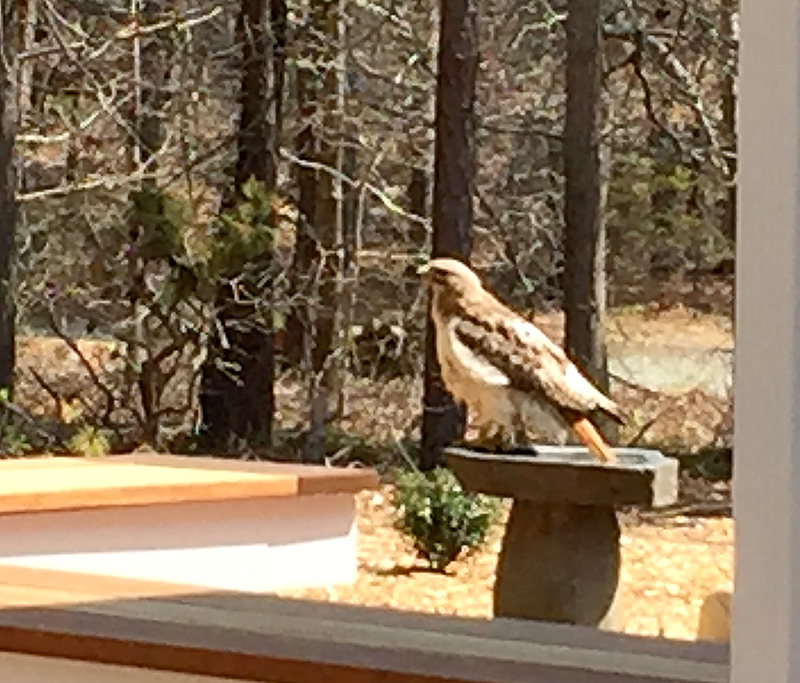 Red-Tailed Hawk In Our Bird Bath On Cape Cod! 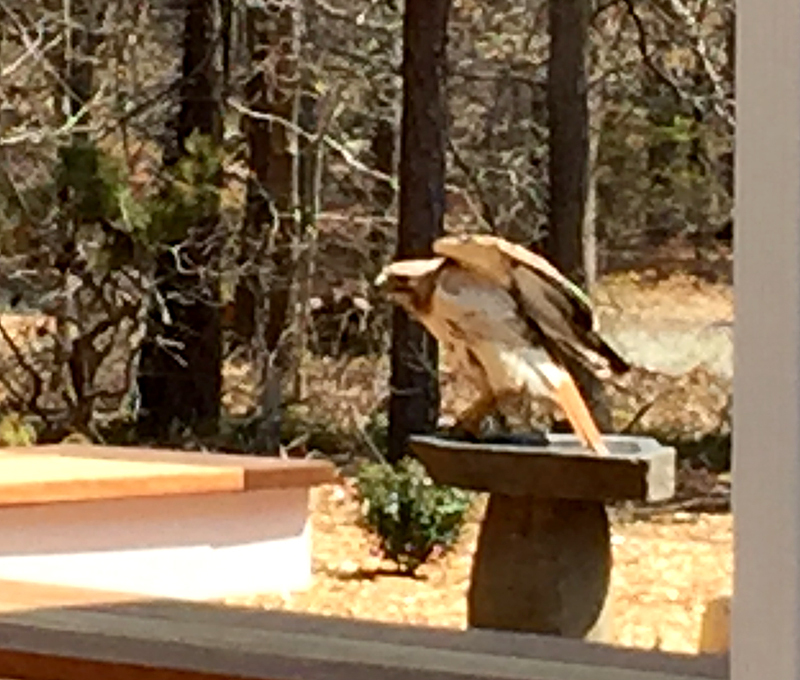 There was a Red-Tailed Hawk in the bird bath in our backyard the other day! It was unbelievable! 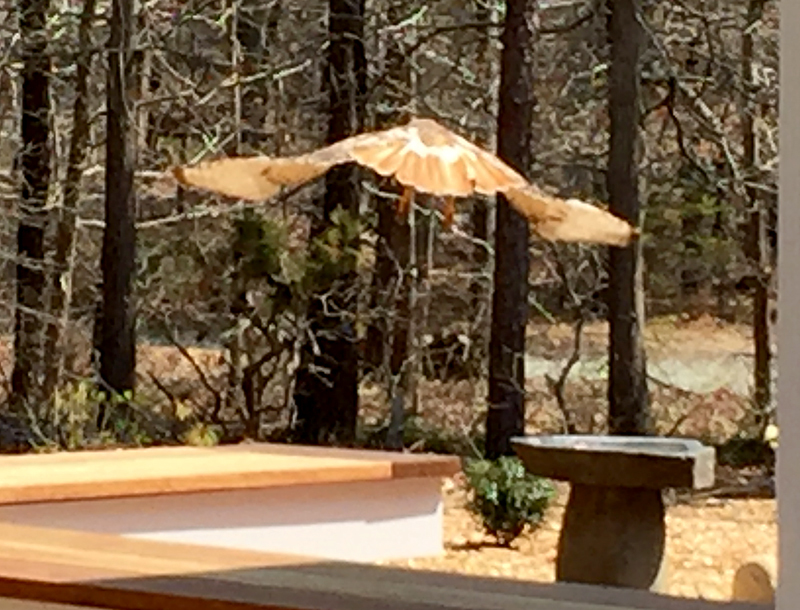 We rounded the corner to go out back and saw this humongous bird sitting in the bird bath. How funny! He was there long enough to get out our phone and click some photographs. They are a bit out of focus… must have been the excitement! He has been bringing branches way up high in one of the tall White Pine trees to build his nest. We can see him at work through the pine needles. But never imagined he would ever get that close. 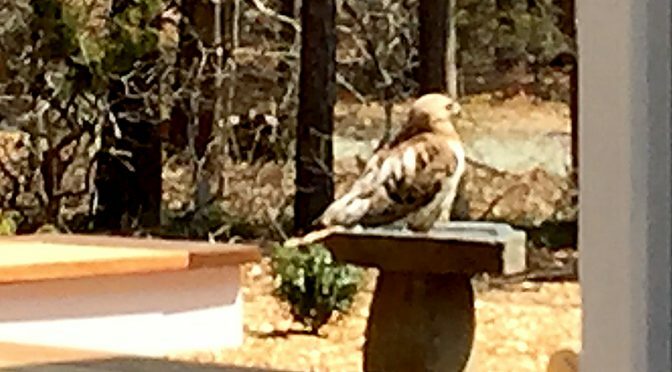 Have you ever heard of a Red-Tailed Hawk in a bird bath? 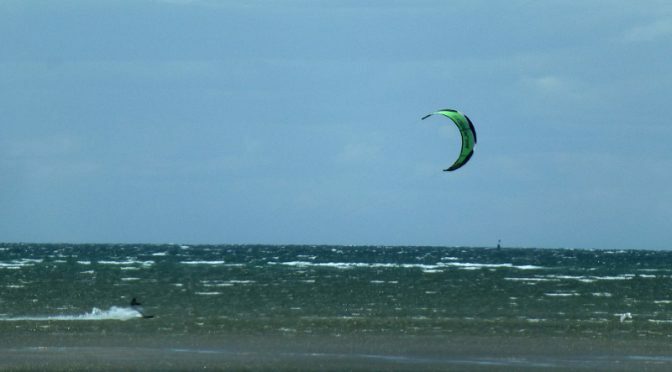 It was windy but warm on Cape Cod Bay the other day. 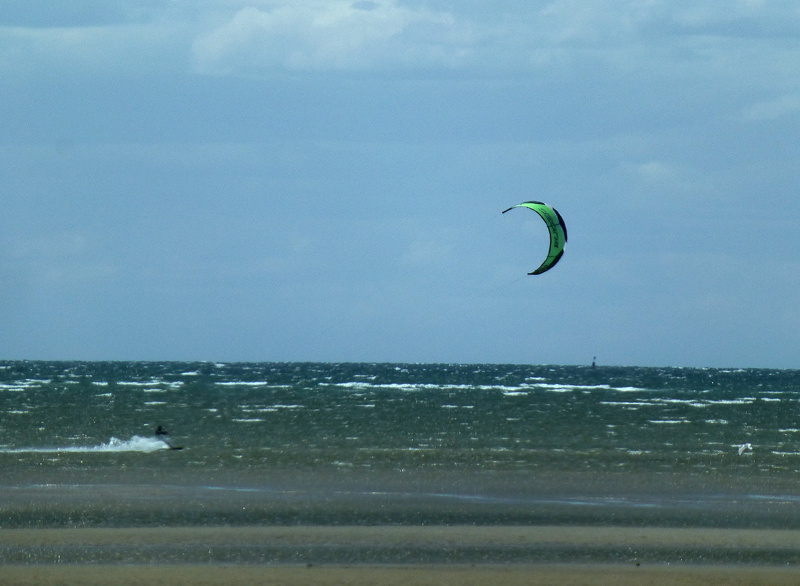 It was such fun to see the kite surfers out enjoying the wind and waves. 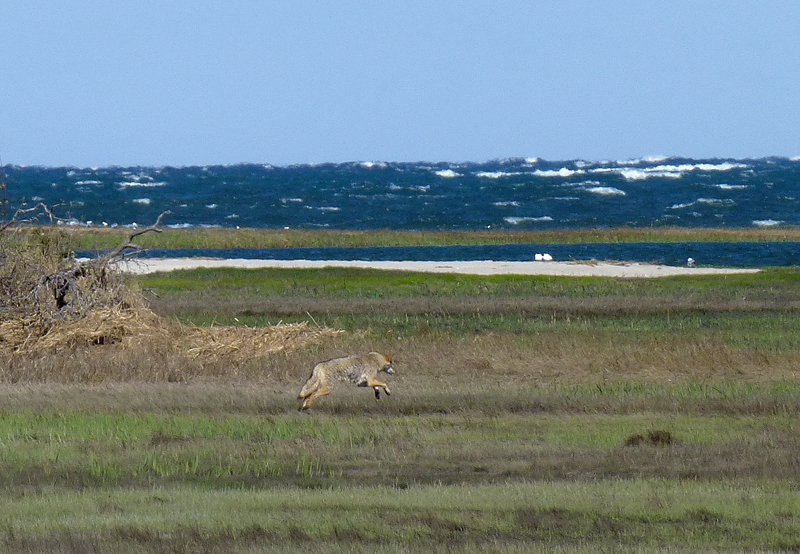 We were driving across the salt marsh early the other day when I saw this coyote out hunting for breakfast. 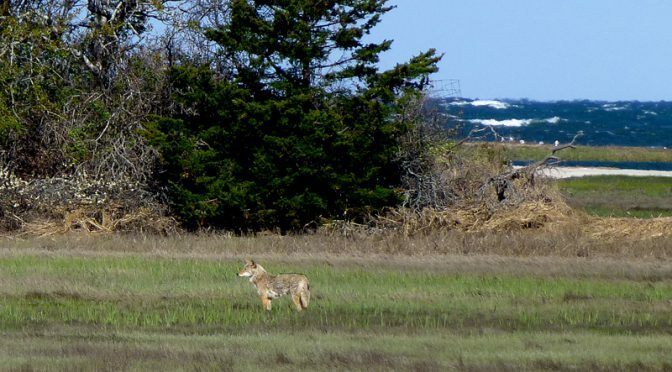 I had never seen a coyote on Cape Cod and this one was just a little ways from our home. 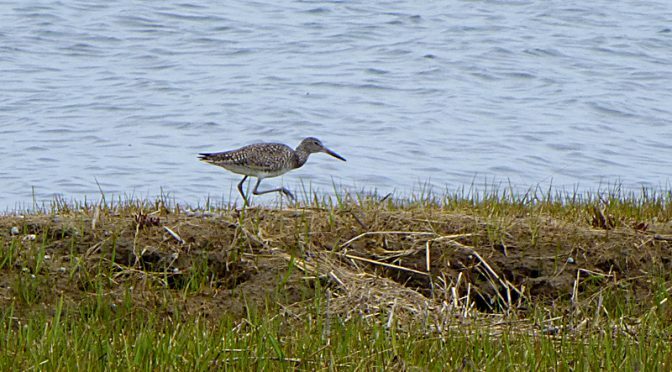 He was way out on the salt marsh as he prowled about. You can see how he is pouncing as he finds something that looked interesting in the grasses. Cool photo, don’t you think? One of my favorite walks at my new home here in Eastham on Cape Cod is across the bridge at Boat Meadow Marsh. It is just spectacular. There is always something new to see. 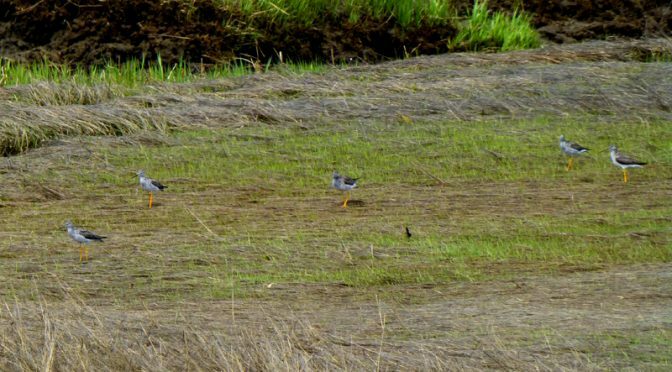 I heard some birds calling and looked over as they all landed on the marsh. 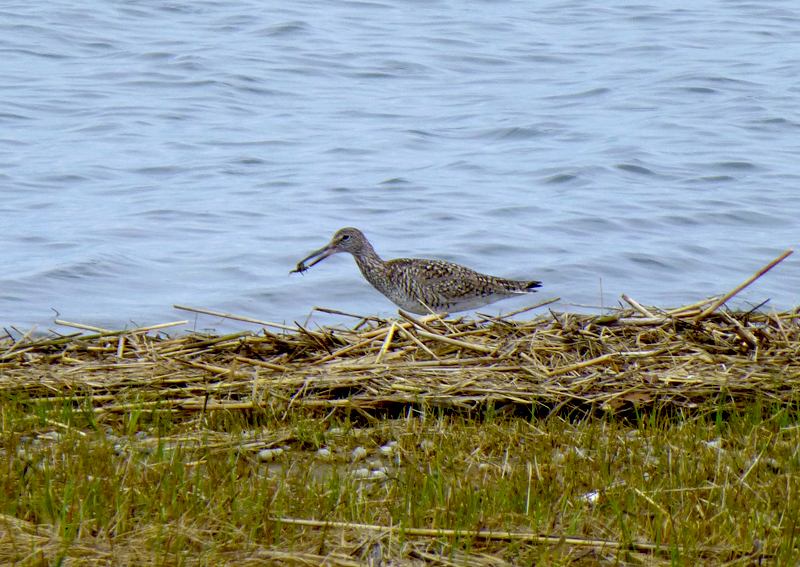 It wasn’t until I looked at my photographs later that I realized they were a flock of Greater Yellowlegs. I have never seen more than 2 of them together, so this was really special, even though they were pretty far away. I feel like I hit the jackpot yesterday when I went for a walk to Boat Meadow on Cape Cod. Thank goodness I had my camera. There were so many different birds! It was almost high tide when this Willett was searching for food in the seagrass on the shore. It looks like he got a nice crab for lunch!